Kiplinger’s Personal Finance recently released the top 10 cities to live, work and play in, and Raleigh, NC was ranked #2! Apparently, Raleigh is on the verge of a Renaissance-type breakthrough and has an extremely bright future. Just since 2000, the city has had a population growth of 19.9%, and is continuing this rapid growth rate. Many companies are choosing to relocate to Raleigh, making the city a great place to find a job. While the city is still growing, 2008 is expected to be a big milestone in the city’s history. As the new convention center and Mariott hotel are opening this year, new trade shows and other business-related events will be able to choose Raleigh as the host city. With such a bright business future, it is only natural that Raleigh is also a great place to live. The more businesses, the better the local economy. 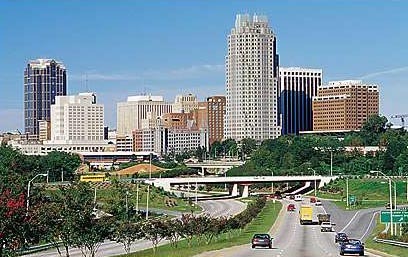 So, if you are planning to relocate to Raleigh in hopes of improving your career, it is not a bad choice. Of course, you’ll have to get involved in the Raleigh real estate market and pick out a fabulous new Raleigh home. No worries, many great homebuilders build in this fantastic city! This entry was posted in New Home News and tagged homebuilders, live-work-play, new Raleigh home, Raleigh real estate on June 20, 2008 by Carol Morgan.